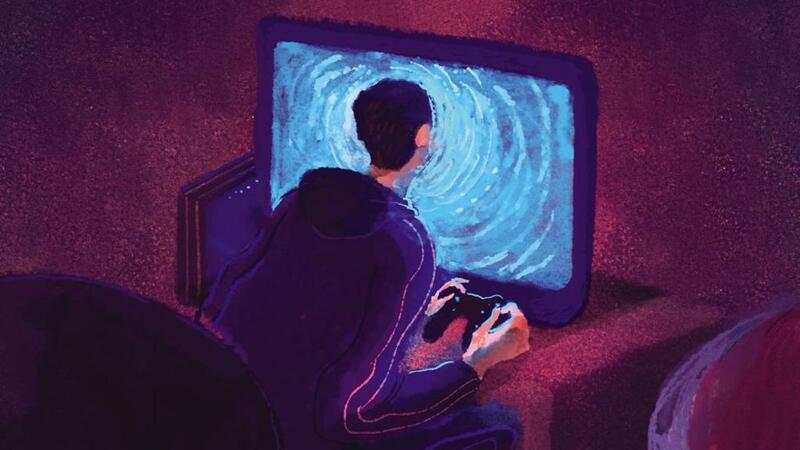 "Women must find the strength to leave their husbands devastated by video game addiction": this is the title of a article de La Stampa by now 10 days ago. Our title therefore wants to be a parody; instead, our article wants to put all the fads that daily are expressed, without any kind of knowledge, on the videogame world. The author of the original article, Maria C., inserts the latter in her column "The answer of the heart" (Yes, it's really called that, although "response with the cul * would have made it much more). The structure is simple: those who read it write to her and she answers. In this case, to write them was a wife tired of her husband who spends hours in front of "Fortnite". Everything is increasingly difficult, even to hide this situation from friends to defend my husband from gossip and wickedness. I am also trapped, a prisoner of "Fortnite" and I do not know what to do. " "Dear Chiara, this is not the first time I have faced the issue of video game addiction and there are several letters I receive not only from girlfriends and wives but also from mothers who have the same problem. Do not give up, but now "let it go". " What can I say, I do not know where to start from. Let's start from the premises: the journalist graduated in economics at the LUISS, so presumably without any kind of (professional) competence in the areas of psychology, sociology or addictions. Leaving aside the banality, the "pseudo-feminism" and the melodramatic nature of the advice given ("mollalo") style A mother for a friend, let's move on to what interests us. b) Emphasize that we want to condemn only the "improper use" of something, without then wasting half a line on the possible triggers, well, makes it seem that the only thing to be condemned is the means by which someone is alien (in this case the video game) and not the triggers of this attitude. Like those who take it with drugs that spread without taking into account the social problems that lie behind. Myopia or bad faith? c) Turned this reasoning, or understand that behind an addiction is first and foremost a cause, try to take note that, in some cases, the video game becomes a valvova of alternative vent to many others, such as the aforementioned drug. If Fortnite had not been there, the lover would probably have been there. So more than taking it out on Fortnite, you should thank him. d) Continue to not treat video game addiction (assuming it exists) as any other addiction is therefore silly. How silly is the closing sentence of the article: "mollalo". Quit it? Why would a social worker say the first thing he would say to a parent with a drug addict would be "leave him alone"? Probably yes, in case of interest in making it sink further. In conclusion, nobody wants to defend a priori video games. Simply, even in the name of an intellectual and journalistic honesty, it would be preferable to deal with such delicate issues with a minimum of knowledge and knowledge, even better if scientific (far from we say the videogame as the salvation of humanity without any kind of proof ). To many of us videogaming has made a lot of time, we know very well; as we also know that that time thrown away, if we were going to throw it and / or lack of will to use it differently, we would have thrown it anyway. Fallout 76: do the loot boxes arrive? Free Battlerite on Steam - Will The New LoL?